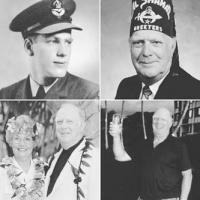 James “Jim” McLeod, of Edmonton, Alberta, passed away just one day after his 93rd birthday. He is survived by his loving wife Edith and family. Following Jim’s wishes, a cremation has taken place and his Celebration of Life will be held at 7:00 p.m. on Thursday August 24, 2017 at Foster & McGarvey Funeral Home (10011 114 Street, Edmonton). Pastor Rolf Bjornstad will be officiating. If you wish to make a donation in his honour, please consider the Shriners, an organization he cherished being a part of for many years.